Business users who rely on Dropbox to store and collaborate on files in the cloud have long shared a significant pain point: shared files initially viewed in the browser have to be downloaded before they can be edited on the desktop. That extra step not only adds time and complexity but can also lead to multiple versions of files and a lack of synchronization. On Thursday, Dropbox announced a new “Open” button that will arrive soon and should make things considerably easier. The button will appear when a user previews a file on the web that also exists in a Dropbox folder on their PC. Instead of opening it in their browser, it will open it in the native application on their computer. For instance, if a user receives a link to a Microsoft Word document that’s also on their desktop, they can view it in their browser first and then click Open to instantly edit it in Word. When they hit “Save,” both the desktop and cloud versions of the file are updated automatically. “The new Dropbox function addresses one of its clients’ bigger headaches: waiting for files to download,” said Charles King, principal analyst with Pund-IT. The time required can be variable and unpredictable, King said, making it inconvenient for time-constrained business workers. 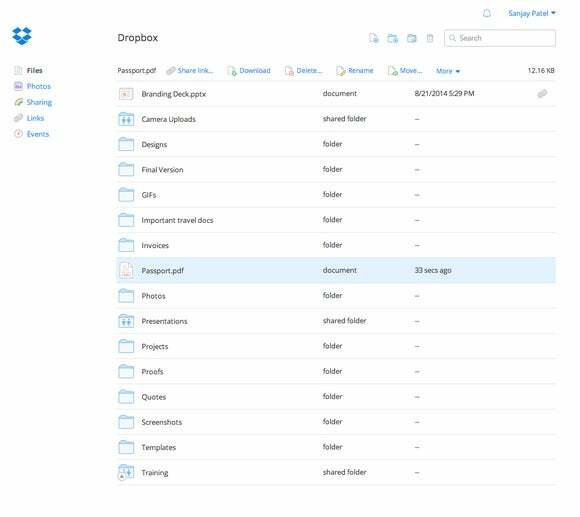 More than half of users who access Dropbox through the Web also run the Dropbox desktop app, said Josh Kaplan, Dropbox’s desktop client product manager. “This helps them get to their files quickly and easily,” Kaplan said via email. The WebSocket protocol is among the technologies powering the new capability, which will appear in the next version of the Dropbox desktop app rolling out to users over the next few weeks. The new version is also available now as a download on the Dropbox site.